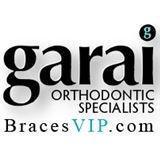 Garai Orthodontic Specialists (Vienna) - Book Appointment Online! Welcome to the office of Dr. Allen S. Garai, your local board certified orthodontist in Vienna and Great Falls, VA. Dr. Garai offers comprehensive orthodontic care for children, teens and adults throughout the greater Vienna, Great Falls, Mclean, Oakton, Reston, Herndon, Fairfax and Arlington, VA areas. Our Vienna, VA orthodontist and his skilled team work together to provide a comfortable, stress-free environment where you can enjoy personalized service and state-of-the-art care. We offer a variety of treatment options including Invisalign, lingual braces and clear braces for our patients to choose from.